Need printable 10-Day instructions? We have lots of different styles! Click here for the printables library. Now you’d think with over 250 Amish Friendship Bread recipes in the Recipe Box, I’d have a ton of favorites. And I do. But I’ve got to say the original recipe (with raisins and nuts and all that cinnamon-sugar glory) is in first place. Okay, maybe second only to this one, but honestly it’s a pretty close race. If I’m in a pinch and want to gift a loaf of bread in a hurry, I know I can count on this classic recipe to make even the grouchiest person happy (and sometimes that grouchy person is me). If you like raisins, combine different variations (golden, Thompson, and red flame) to keep it flavorful and interesting. A few years ago, our neighbor began to give us a bag of homemade sugared pecans every Christmas. I never knew what to do with it, it was so crazy sweet and there was always so much of it. I found its true calling one day when I chopped some up and tossed it into my Amish Friendship Bread batter when I couldn’t find any plain old nuts to add. It gave the bread an extra sweet crunch so now I keep a bag of candied pecans or walnuts frozen in our freezer for just this purpose. There are so many ways to make this and you really can’t get it wrong. If you’re ever feeling like you want to take a walk on the wild side, you can try another variation but just know that you’ll always have this one to come home to. The one question I get asked a lot is, “Is Amish Friendship Bread really Amish?” I’ve done a lot of research and let’s just say the results are inconclusive. What I do know is that the spirit of the bread is sharing what we have with others, and when we make this simple gesture, miracles and acts of kindness start showing up in our own lives, too. So share a slice, or a loaf, or a bag of starter, and see what happens next! Need an Amish Friendship Bread Primer with the ten-day instructions? Go here for this simple 101. Don’t have a friend to give you a bag of Amish Friendship Bread starter? Make your own! Go here for the recipe. No time to get a starter going? 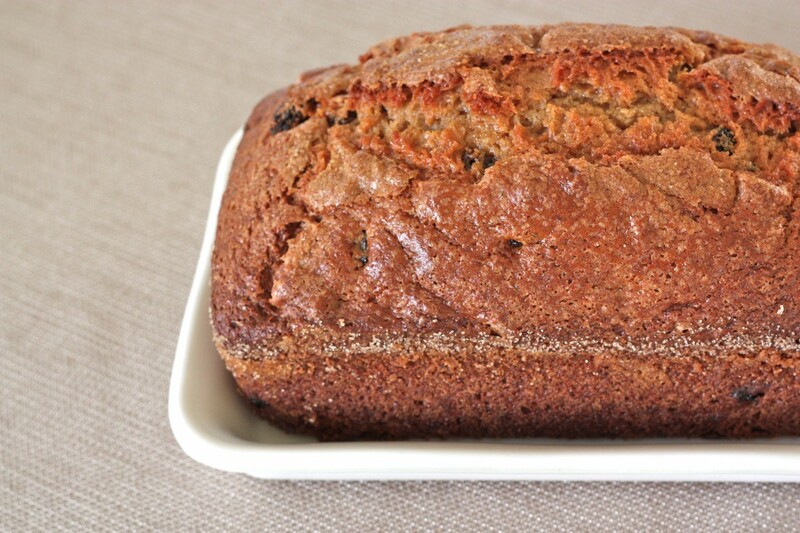 Try our Starter-Free/No Starter Amish Friendship Bread here. Want to try something new? Check out the Recipe Box and find 250+ Amish Friendship Bread recipes to bake and share with others. Click on the Recipe Box in the menu or go here. When I received the instruction with my 1st cup of starter it never said how much would be left to bake with, just that I should give 3, 1 cup portions away, keep 1cup to add to for myself and bake the cake with the remaining…which turned out to be 2 cups. I always get 6 cups total. I’ve read your recipe where it says to use 1 cup to make the cake. Other than that difference the recipe is identical. I’ve always used the 2 remaining cups as I didn’t know differently and it turns out perfectly every time. I’m so confused! I’m glad it turns out & is delicious, but would love to understand why it is turning out with using 2 cups instead of 1. I’d also like to use just the 1 cup as I could make twice as many loaves (4) at one time, but because it turns out with 2 cups of dough, I worry that if I start using 1 cup it won’t. The great thing about this recipe is that it’s so versatile, but sometimes using too much starter will result in a wet bread, so you want to be careful. The original recipe (“original” meaning decades ago) assumed that after 10 days, you’d have essentially four bags of starter (1 cup each). You bake with one and give three away. But the wild and commercial yeast in every starter is different, and every kitchen (warm, cool) is different, so this can vary. If you have a super active happy starter, you might get as many as six cups at the end of ten days … I certainly have! So we’ve modified our version to say that you bake with one and give the rest away. I wouldn’t recommend baking with more than one cup of starter just because it could mess up your recipe. Just freeze (see our tutorial on freezing starter) or give your extra starter away. My point was that I’ve been baking it with 2 cups of starter for 3 years now, not knowing it was only supposed to be 1 cup. It turns out perfectly EVERY time. Not too wet, not too dry. I have also been freezing the starter for as long so that I don’t have to continually feed it/take up space in the fridge with it. I’d love to hear if you think the recipe changes from what you’re used to with the two cups to one — we’ve always done one, maybe we should try two! This original recipe is still our favorite, and we’ve made hundreds of Amish Friendship Bread loaves over the years. confused about the instant pudding mix, is this added, prepared(as Pudding) or just add the dry pudding mix to batter? does the milk need to be whole milk, or can 1 or 2% be used? in both starter or if you’ve received a bag of starter? It’s the dry powder mix. Milk can be whole, 2% or even half and half. Skim doesn’t seem quite as successful but people have done it and says it still works, along with other non-dairy milks, so it is an option. This would be for the starter and the final recipe. Hey Dave! Yes, we’ve used rice and almond milk in the past — it doesn’t froth up as much so you’ll be looking at a flatter starter but there should be some bubbles as both almost and rice milk are sweet and have sugars that metabolize in the starter. Other members of the community have tried other milks (nut milks and non dairy) and have reported that it still resulted in a delicious bread but there were definitely some slight changes in the flavor and consistency of the final product. Good luck! Did I miss something but what is the Amish starter kit? Hi Margie, there’s no starter kit per se, but if you haven’t baked the bread or made the starter before, you can start here: https://www.friendshipbreadkitchen.com/amish-friendship-bread/. Welcome to the Friendship Bread Kitchen! Wow. Made this for the first time last night– I had to sneak to get the 2nd loaf wrapped up and hidden. Loaf #1 was gone before bedtime! lol Of course, loaf #2 is about half gone now, but at least it made it overnight. Good thing I made extra starter so I could do more baking today. One question, though. Does anyone know how well the baked loaves freeze? I’d usually be serving them fresh baked (or close to it), but I’d like to have an extra stored for “in case of”s if the bread freezes well. Should I sift the flour? My starter after feeding before baking is very lumpy. I mix and mix and mix and they will not budge. What do I do? You don’t need to sift the flour, Lisa. Lumpy and a little thick is normal, but make sure your starter (before you feed it), has the consistency of pancake batter and that you’re adding equal parts of flour, sugar and milk (minimum 1 cup). Stir with a wooden spoon and scrape the sides and then leave it for a bit. Come back after a few hours and give it another stir, and you should find that it will have broken down quite a bit by then. By the next day it should be a lot smoother. Make sure you’re using an all-purpose flour and that all your ingredients are fresh. Hope this helps! My granddaughter is allergic to everything I made this bread for her she is allergic to wheat, gluten, eggs, peanuts, fish and about everything else you can think of. But we figured out how to do it wheat, gluten and egg free and she loves it. we add gluten, wheat free flour and yogurt for the eggs and it comes out great she loves it so much she cannot have regular bread so this is her bread and when we do it with cinnamon she just can not get enough of it, she now bakes it for her self regularly thanks so much for the recipes and now that we know how to add what she can have it has made it great. This was a huge hit at work! I had several people asking me for the recipe (I gave them yours) but some got a little disappointed when it needed a starter but I was happy to provide that. This was my first time doing this and it was wonderful! I have non-celiac gluten intolerance and am always trying to find a way to convert my favorite recipes to gluten free. I have successfully made the starter using Krusteaz brand gluten free flour that I get from my local Kroger! I have made one batch (2 loaves) and am baking my second batch as I type this. I just wanted to let anyone out there know that you can make a gluten free Amish friendship bread! 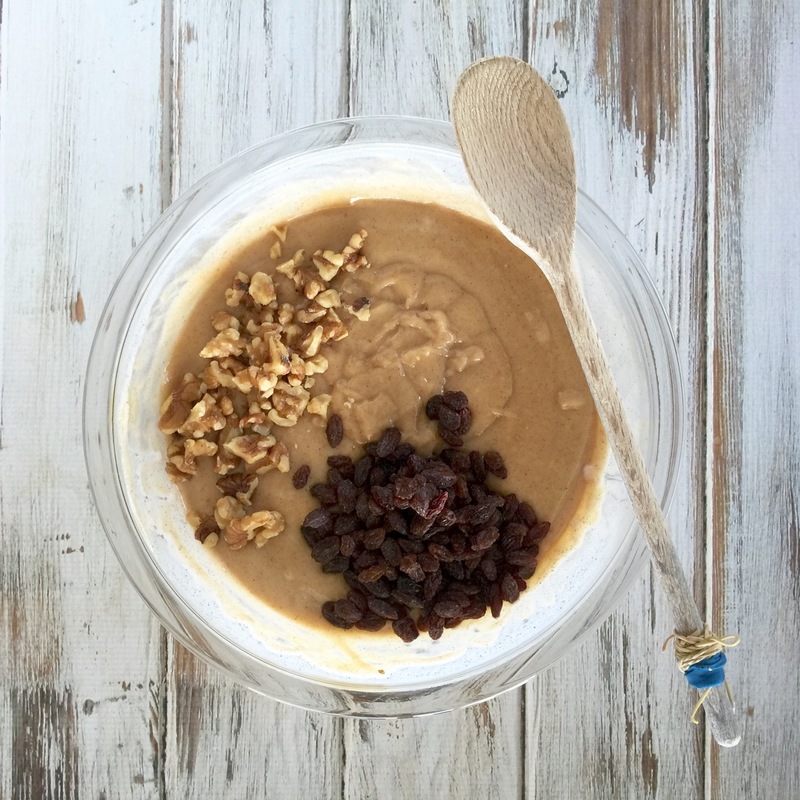 😀 I usually split the the ingredients into 2 bowls and make two flavors (banana-walnut and chocolate- chocolate chip). I use 2 boxes of the pudding, one for each flavor and they come out moist and super yummy! my mother-in-law, who is really picky when it comes to food, cannot even tell the difference. This is by far my favorite! I make mini loaves and then we all eat a whole one ’cause that IS one serving, right? WOW LOOKS GREAT–AND EASY –I THINK I WILL TRY THIS AT MY NEXT CHURCH POTLUCK THIS COMING OCTOBER–WE ARE HAVING A HARVEST DINNER THEMED GATHERING……. You’re welcome, Lora! Amish Friendship Bread is really easy and it’s great to share it with others — you could even bring a couple bags of starter and the instructions to hand out to anyone who compliments you on the bread. Good luck! I think it would be delish’ to dust it with powdered sugar,maybe marble it with spices or cocoa, or add dried Craisins(cranberries). The sugared pecans, or nuts one lady described using, we lovingly refer to as “pralines” in the south. you, I’m gonna give it a try again. I loved it once. I hope I do again. I’m looking forwards to trying this! I’ve got sourdough starter scraps lurking in my fridge somewhere; I wonder how incorporating those into the starter would work? If you dredge the nuts or fruit in flour before adding to the mix and lightly fold them into the batter they won’t sink to the bottom while baking. Even with all the wonderful variations on this recipe, the original is by far the one I love most. I had made it a long time ago, but lost the recipe in a series of moves. When I read the book I was so excited to get into it again! 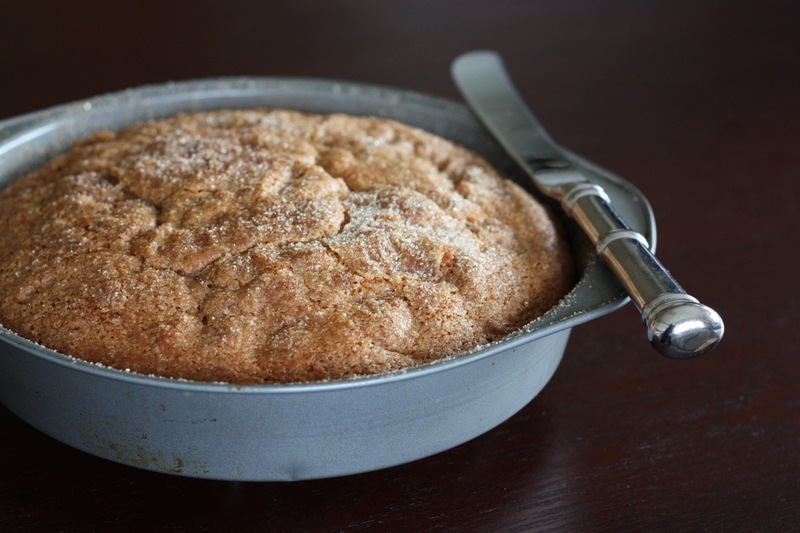 It brings many memories along with the delicious taste of eating it warm from the oven AND cooled later in the day. Thanks again for bringing it into the forefront with your delightful, heartwarming book. Hi I will be baking the Amish Friendship bread for both of my brothers who live in California (I live in Oregon) and will be FedExing the loafs to them (fingers crossed it works). Their names are Sean and Michael Reilly. I have always wanted to make some Amish friendship bread. I would make some for my baby cousin, who is stationed in Texas and can’t be with us this year. And another loaf for my good friend who is always there for me. This would be great to make for my family and my church! I have made friendship bread in the past. This time it didn’t come out as good as usual. I’ve been leaving it in a zip lock bag. Do I need to open it to expose it to air and mix with wooden spoon or can I continue to just mix the bag around? I also remember having to uncover it in the past to let air out but that didn’t happen this time. Did I do something wrong? Mashing the bag (or mixing it in a bowl) daily is important, as is adding the ingredients on Day 6. You should see bubbles and the starter should grow by Day 7 (some starters are more active than others, but there should be some activity). If you don’t see any activity and your starter doesn’t smell yeasty, then your starter may not have been alive/active. Usually brand new starters are the most active (where it almost looks like it’s going to explode in some cases! ), and subsequently you should have good activity but not as much as when you first made it. Hope this helps! It says to bake two mini loaves out of the 1 cup of mix, what temp should my oven be? Am I misunderstanding? Hi Harley, if you’re baking mini loaves with this recipe, we would suggest baking it at 350 degrees Fahrenheit. It should yield six to eight mini loaves. Happy Baking! I made this today and it did not turn out. When I took the loaves out of the oven they looked and smelled great. As they cooled, both loaves caved in. The insides didn’t even look done. Any suggestions on how I can prevent this again? I’m basically starting over. Does mixing the milk, four and sugar directly into the bag have anything to do with it? 1. Your baking soda and baking powder are old or not active enough — make sure it’s fresh. 2. The batter is too wet or has too many add-ins. This can also happen when you substitute ingredients (i.e. replacing oil with ripe bananas, which have high moisture content. Make sure everything is properly measured. 3.It needs to bake 15 minutes longer — if it starts to brown, cover the top with foil. A toothpick should come out clean when testing for readiness. Mixing the ingredients in the bag during feeding periods (Days 6 and Days 10) are not a problem, though when you prepare the actual bread you should use a mixing bowl. I hope you’ll try it again — good luck! I used regular all purpose flour. I talked to the person at work who gave me the starter. They said that since it is a moist bread, it will cave in. I guess that is normal for this style of bread. I am bummed cuz I threw it out when I could have tried it. We use all-purpose flour for the recipes unless otherwise indicated, Kayla. If you only have self-rising flour, you should know that it already has salt and baking soda added in, so you’d have to change the ingredients of whatever recipe you are making to accommodate this. I added about half a can of apple pie filling to this recipe, including one box of vanilla pudding, and used chopped walnuts but no raisins. Love it! It is now my go-to when I bake the Friendship Bread. I did chop up the apples in the pie filling, to make them more bite sized. Very yummy, and stays moist until it’s all gone. Which really isn’t that long, actually! Hi, I also want to make bread, as I don’t have any instant pudding and I would rather a sourdough than the sweet cinnamon kind in the recipe I got. However, all these in your link call for me to put yeast in and I thought the whole point of the 10 days of mashing and waiting was that the yeast was already in there. Do I really need to put MORE in and what if I don’t happened to have any yeast? Having lived in Pennsylvania Dutch (aka Amish) country all my life, I can tell you that no traditional friendship bread recipe calls for the use of instant pudding, nor does it use yeast (as l have seen in many recipes). I am on day 10 and need to bake today, 12-17-2017. I also need to know if I absolutely have to add the day 10 1.5 cups of flour, sugar, and milk? I do not need to give any away and would prefer to just stop now. My first bake took over four hours (six loaves) even with separating out into Ziploc bags. A super-quick response to my email would be most appreciated. Yes, you could absolutely bake with what you have and not continue feeding the starter! But you can’t keep a starter without feeding it, so you should bake it all, give it away, or freeze it. The beauty of the starter is you can stop anytime you want! Hope this helps! I’m getting ready to bake my first batch tomorrow (was supposed to do it today but forgot). I’m going to make a batch of sourdough bread and a batch of this original recipe. Is pudding mix a necessary ingredient? I’m trying to cut back on store bought processed foods and pudding mix has a bunch of artificial colors and ingredients I can’t pronounce. Just put a loaf in the oven! This recipe has been running in my family for years. Around the holidays it is always a huge hit; you can never go wrong with this bread recipe. There has never been a time when we haven’t used all purpose flour, but if you want your bread to be more fluffy then I would recommend using self rising flour. Once baked doesn’t it have to be refrigerated or leave out at room temperature? What is the shelf life once baked? Hi Amy! Once you’ve baked your Amish Friendship Bread, its shelf life depends on how you store it. Out on the kitchen counter, it probably has one or two days before it starts to get stale and gross. However, if you seal it and store it in the fridge, it will last about a week. You can also freeze it, and pull it out later to thaw. Hope this helps. Happy baking! can you freeze the remaining starter? Hi Peggy! Yes, you can freeze your Amish Friendship Bread Starter. Just measure out one cup of starter into a Ziploc bag, label it with the date that you froze it. When you’re ready to bake with it again, you can pull it out of your freezer to thaw. We have a tutorial on how to revive frozen starter. You can find the tutorial here. Happy baking! Thank you for having me on this forum. I am passionate about Amish bread, I started 10 days ago, the starter. When I started this leaven for 10 days, I thought of finishing a bread to accompany my meal and not a cake. … but with a white flour of wheat. I recently acquired a set of American spoons, and I wondered when you were talking about a cup, if it was the largest? Can not wait to read your return, nice evening and thank you. Almost all of the recipes on the site tend to be sweet, because of the sugar content in the starter and most recipes. We do have a few traditional loaves here (using the Amish Friendship Bread starter): https://www.friendshipbreadkitchen.com/category/recipes/sourdough-breads. Otherwise you can just make a traditional sourdough bread and starter (Google will give you lots of results!). One cup is 8 ounces in the U.S. Hope this helps! What is the metric weight of 1 cup of Amish friendship bread starter? Hello Finnn! We don’t often weigh our Amish Friendship Bread Starter. However, if it’s metric measurement you’re after, 1 cup of Amish Friendship Bread Starter would be 237 milliliters. If you’re trying to convert your measurements for baking, you might find our conversion tables helpful! You’ll find them here. Happy baking! I have 4 more loaves to make and ready for bed. Can i leave the batter on the counter til morning and finish baking then?